Why Beautiful Boundary Wall Design is Essential for Modern Day Homes? Whenever we come across newly constructed homes in different societies around Pakistan such as Defence Housing Authority (DHA), Bahria Town and others, the first thing that grasp our attention is the beautiful exteriors. 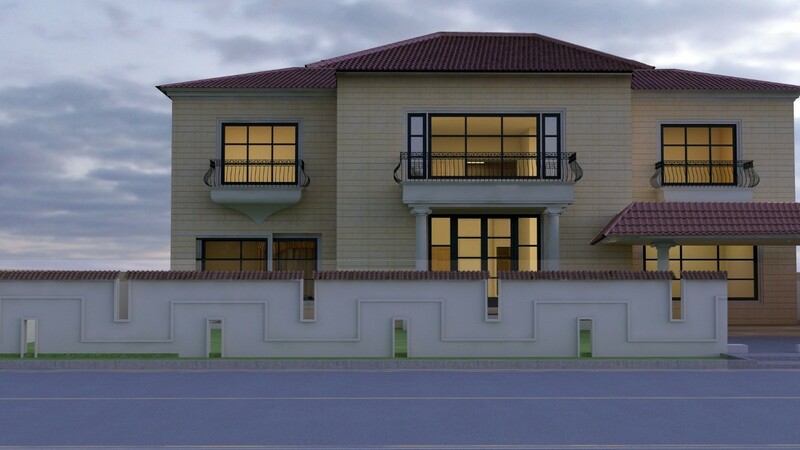 The splendid exterior designs depicts homeowners in the country are keen to create a great first impression as they have started spending hefty amount on the facades besides the interiors. With that said, only a handful of people are interested in making their boundary walls look as good as the exterior of their dwellings. 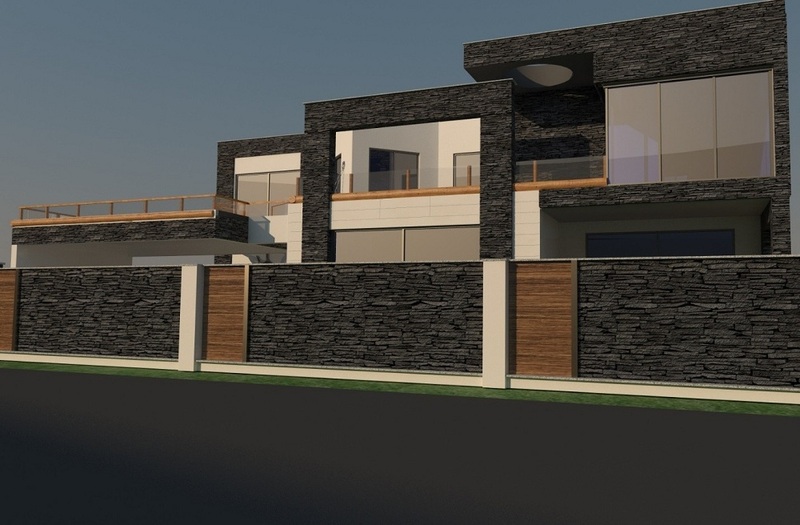 It seems architects and private contractors in Pakistan have failed to convince homeowners that exterior parameter walls are also an important feature of the modern day house. AmerAdnan Associates, however, is striving to change this approach. 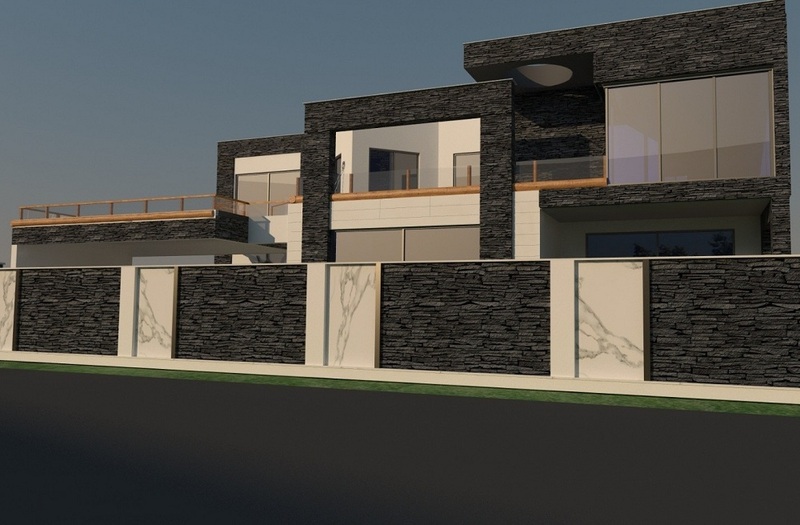 The contemporary design and architecture company in Lahore has always highlighted the significance of building beautiful boundary walls and how they contribute to the character of the house. The outstanding boundary wall designs shared below truly reflects that. The gorgeous boundary wall design is perfectly complementing the exterior of the house. The shingles, red curved tiles, used on the top of the wall and house are giving it a distinct look. 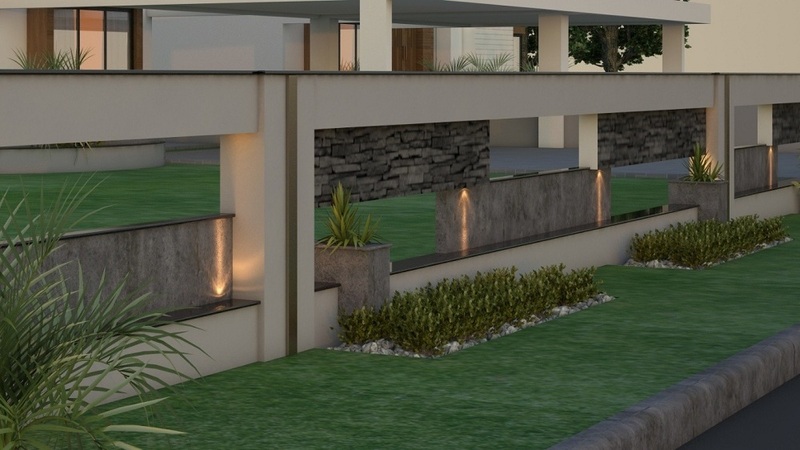 This stunning wall has a black granite top while the concrete texture is used on the planters. Cement plaster, striking paint work and small LED lights are allowing this boundary wall to match well with the house elevation. This wall features slate stone and white marble with a hint black texture. In case, you are not a big fan of marble, then you can always go with the wooden cladding with slate stone. To add to the appeal of your house, you can also use wooden cladding like the one shown in this design.